This was was gathered, and blessed by me, from 12 different churches. 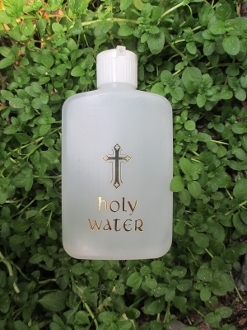 The uses of 12 Churches Holy Water are endless! Bless yourself, your altar, your car, your family, the sick, clean candles and statues or use when called for as a spell ingredient. It is considered the most powerful of holy waters, other than water blessed by saints or popes. Large, 4 ounce bottles with flip dispenser.